An arrangement of four chairs, upholstered in a rich linen fabric, are perfect for a square room. 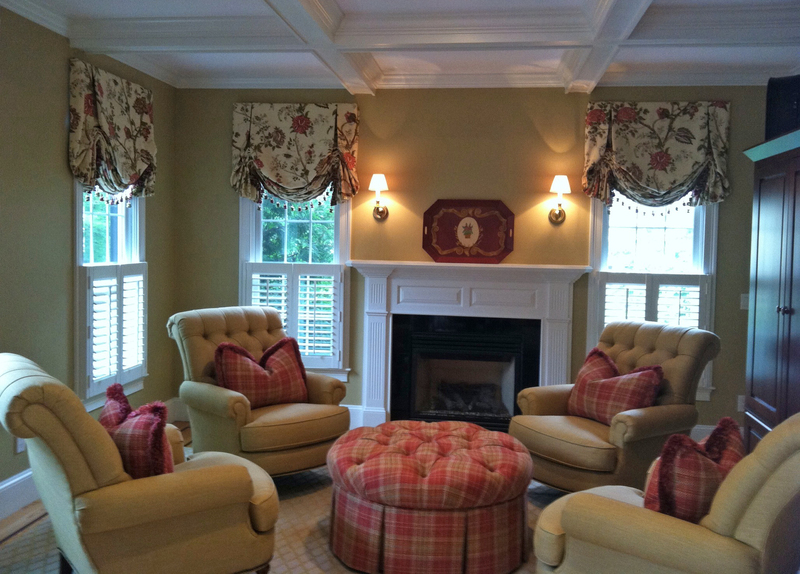 Raspberry accents complement the deep honey wheat color on the walls and furniture. 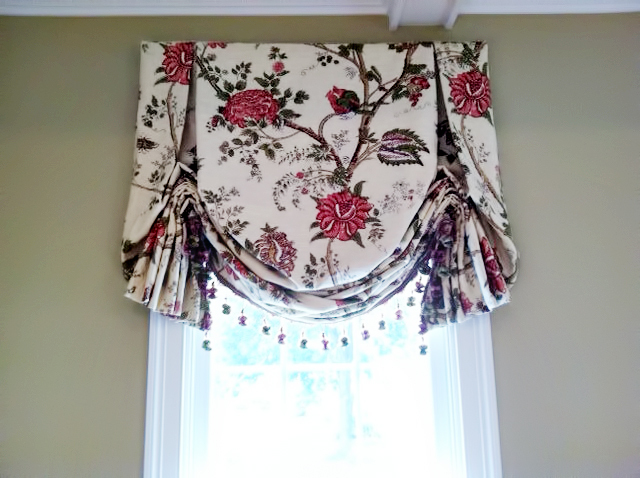 Voluminous London shades are done in a rich botanical print and accented with sumptuous trim.